When a recreational boating accident occurs, the first determination that must be made is whether a federal court or a state court has jurisdiction over a lawsuit that is filed with regard to the accident. The Federal Tort Claims Act (FTCA) bars claims that are based on the performance or failure to perform a discretionary function or duty of a federal agency or federal government employee, even if there is an abuse of discretion. According to this “discretionary function exception,” a personal injury action cannot be filed under the FTCA if the employee’s negligence arises from a discretionary function or the execution of a statute or regulation. The Federal Tort Claims Act (FTCA) applies to claims for personal injury caused by the negligence of a federal government employee who is acting within the scope of his or her employment, under circumstances where a private person would be liable under state law. Therefore, the FTCA applies only to personal injury actions that arise from the negligence of a federal government employee. The Federal Tort Claims Act (FTCA) applies to claims for personal injury caused by the negligence of a federal government employee who is acting within the scope of his or her employment, under circumstances where a private person would be liable under state law. Therefore, in order for the FTCA to apply, the employee’s negligence must occur within the scope of his or her employment. Generally, a federal government employee is acting within the scope of his or her employment if the employee is engaged in an authorized activity that serves a governmental purpose. A lawsuit for defamation has the following basic elements: (1) making a false statement; (2) about a person; (3) to others; and (4) actual damages (if the harm to the person is not apparent). There is a fifth element when the person is a public official or public figure. The person who made the statement has to have made it with a known or reckless disregard of the truth. This article discusses the third element, making a statement to others, known as publication. 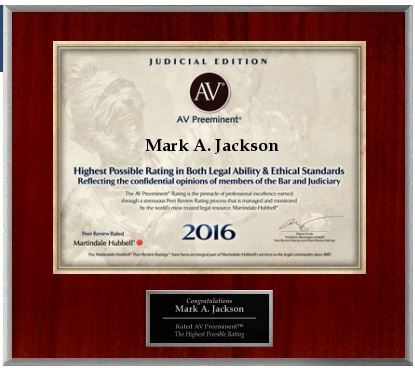 Mark A. Jackson PC is located in Huntsville, AL and serves clients throughout Madison County, Limestone County, Marshall County, Jackson County and the entire state of Alabama, including surrounding states.